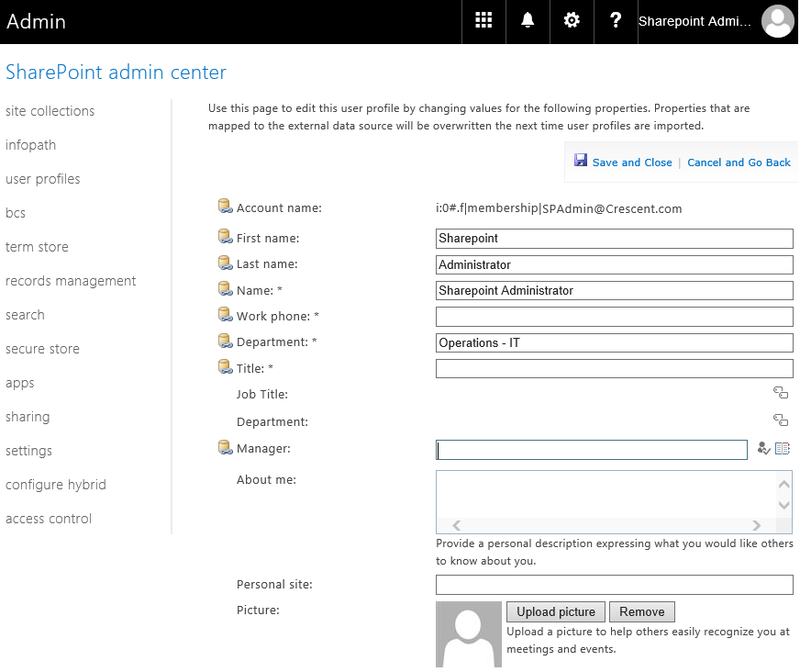 How to Update User Profiles in SharePoint Online? In User Profiles, Click on "Manage User Profiles" under People tab. Use Search to find the user profile of the user to update >> Click on "Edit My Profile" link from the context menu drop down of the user result. Update any allowed user profile property and click on "Save and Close" button. Lets update "Department" field of SharePoint user profile. Here is the PowerShell for SharePoint Online to set User profile properties. There are fields with Multi-values in People profiles. E.g. Skills! Lets update Multi-valued fields in SharePoint Online user profiles. In another case, when I had to update language preferences of User Profile in SharePoint online, I specified "SPS-MUILanguages" as Property Name and "en-US,en-GB,de-DE" as choices. Set-PnPUserProfileProperty -Account $UserAccount -PropertyName "Department" -Value "Operations - IT"
Set-PnPUserProfileProperty -Account $UserAccount -PropertyName "SPS-Skills" -Values "SharePoint", "PowerShell"
Great thanks! Exactly what I'm looking for. How about updating multiple users?